I'm back to making purses. I'm having fun with all the little details. 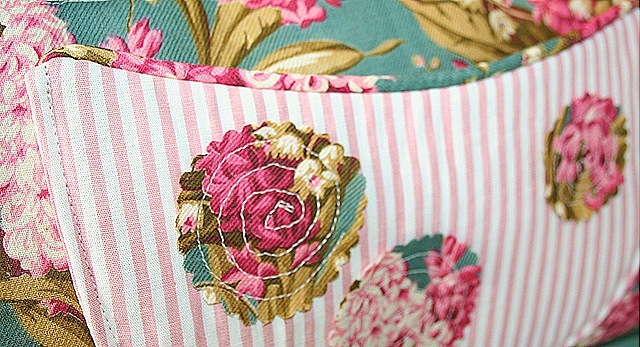 I love the colors and patterns in vintage fabric. 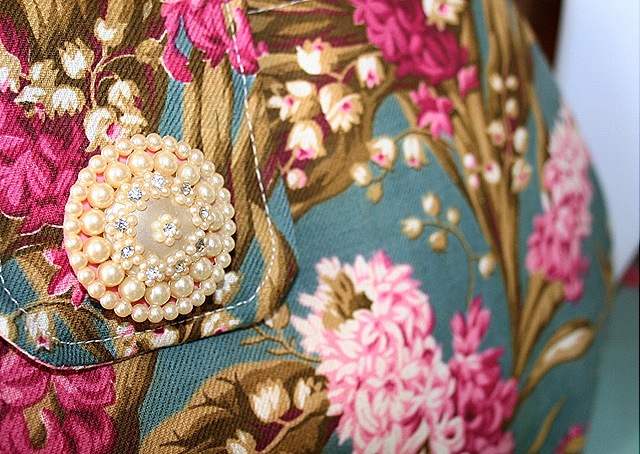 Vintage jewelry + vintage fabric = perfection! No! Really you make those beautiful and precious and colorful purses. I love them. “You’ve got talent.” I love the fabric and jewels. I will be keeping an eye on you blog for more of your treasures. Love the sea shell shelf on your banner! 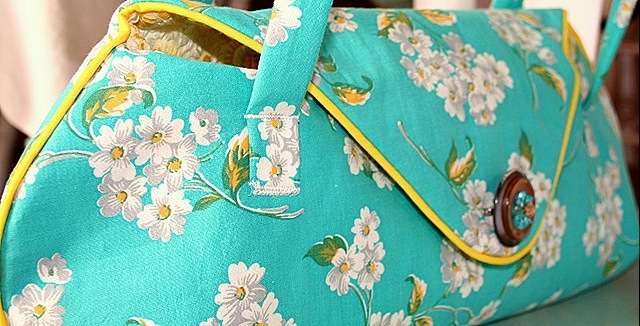 Love your handmade purses, especially the turquoise one. . . great shape, looks great! Wow!!! I now salute you of having these beautiful stuffs. You made such an awesome work. Nice creation!!! Gorgeous embellishments, Suzy. I love the way you are adding a little drama to your creations. You have a wonderful knack for highlighting the details in these vintage fabrics, like the yellow piping, and the pearls bringing out the lily-of-the-valley.